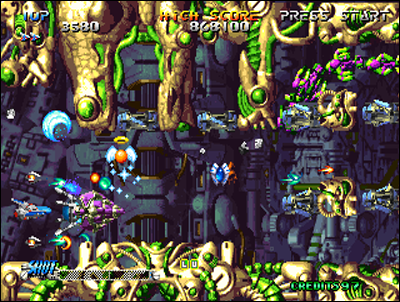 Launched in November 1989, the NEC SuperGrafx is a real UFO in the world of 16-bit machines. This powerhouse, came two years after the PC Engine, is based on this one's architecture, but aims for richer customers, high-end videogames fans. Indeed, the beast is an impressive evolution of its tiny elder. 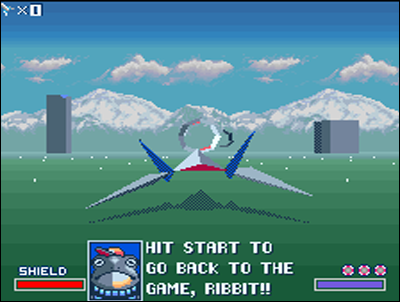 Hucard are also used for the SuperGrafx, which already provides it a very comfortable gaming library, since it is compatible with all PC Engine titles. 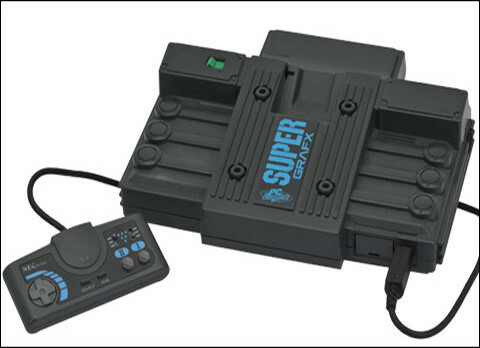 But what the public expected, were TRUE SuperGrafx games, programmed on this overpowered machine. Sold $ 500 at its release, it announces unprecedented capabilities: high performance multi-processor architecture, 482 displayable colors, 128 simultaneous sprites on the screen, crazy audio capabilities... In short, it's a dream come true for arcade lovers! 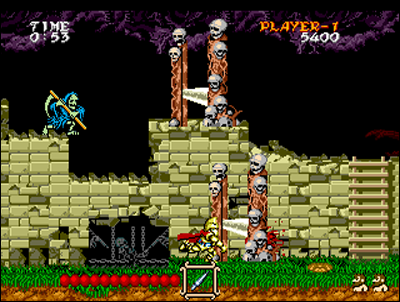 When the adaptation of Capcom's arcade hit Ghouls'n'Ghosts arrives on the machine, it's a real slap. 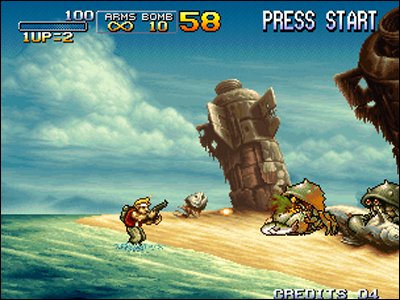 SuperGrafx version is almost at par with the arcade version... Other titles announced on the console are also promising at the time, with Aldynes, a magnificent Shoot them Up, 1941, another great shooter by Capcom, or also Grandzort and Battle Ace. The problem is that... here, I already listed the whole catalog of the console! Tremendous commercial failure for the firm, the system will be neglected due to the unsatisfying sales, and no more titles will be developped then. A big disappointment for the fans, who were seeing with the SuperGrafx a real powerhouse that could have host fabulous titles. A beautiful mess, ultimately. 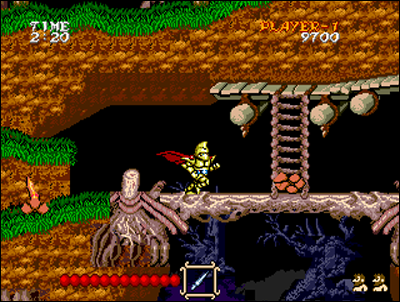 Here's Ghouls'n'Ghosts best home system port. 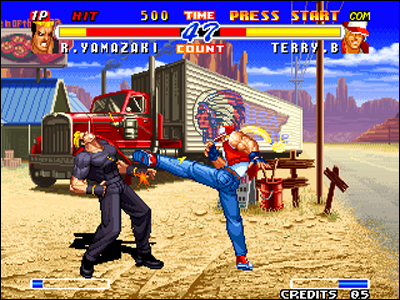 Fourth machine of the fourth generation of gaming systems to be commercialized, the Neo Geo is neither more nor less than the home version of the MVS (Multi-Video System), the hardware used by SNK in the arcades. The technical specs of this machine performing in the playrooms place it among the top-3 of the most powerful systems in arcades back in 1990. But when speaking of home systems, it is simply an incredible leap forward. Released in April 1990 in Japan and the following year in the United States, this beauty was sold for an astronomical $ 650 price. 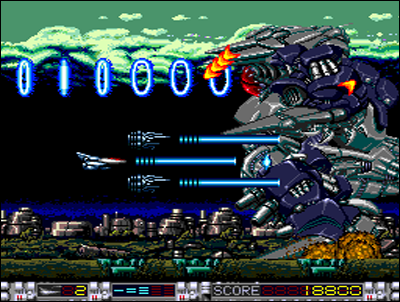 It is obvious that SNK aimed at a niche market with its high-end console: just over 350 000 copies were sold after nine years of production. 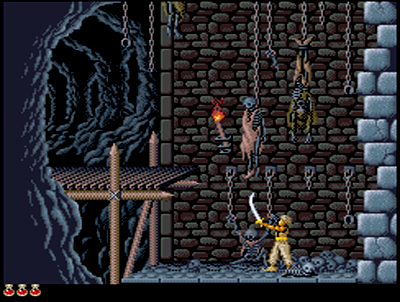 The price of games will also be an obstacle that many gamers will never cross: almost 400$ for a brand new game, while the Genesis games were sold for 80$. This prohibitive price was caused by the size of the cartridges: indeed, if the media is the same as other contemporary gaming systems, its proportions differ markedly. 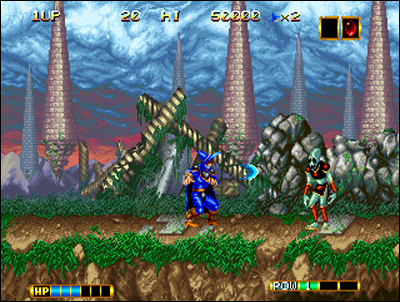 The cartridges are up to eight times larger than any other game on rival systems: 26 to 62 Mb for the first titles, when a Genesis game rarely weighs more than 8 Mb at the time. 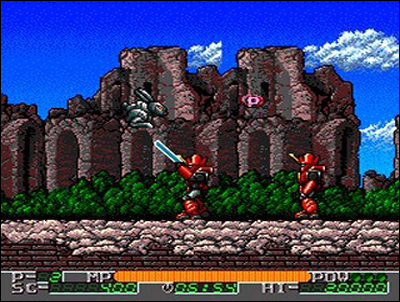 Graphics, music and animations were revolutionizing the standards of video games, and became the technological reference of 16-bit systems. 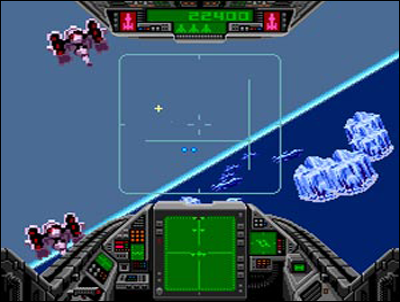 The MVS encountered a great success in the arcades, which allowed the publisher to establish its reputation among players. 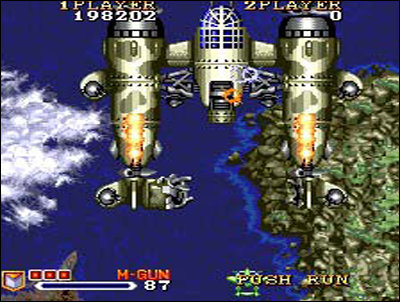 SNK released in 1994 the Neo Geo CD home system, a cheaper version of the AES system, using a CD-Rom media to offer attractive prices for its games. 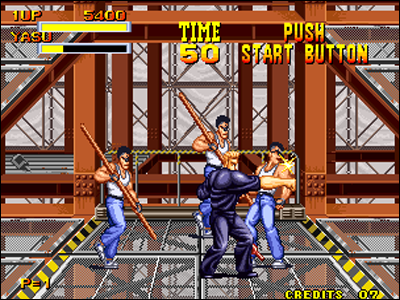 This machine was going to experience a mixed success: cheaper than its AES sister, the machine sold twice the quantity, allowing many players to access the fabulous SNK arcade library. 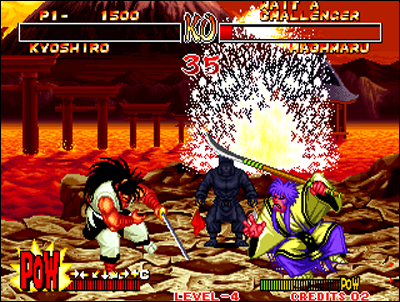 The Neo Geo made players dream for many years with titles that will remain in the history of Arcade: The King of Fighters, Samurai Shodown, Fatal Fury, Metal Slug ... After fourteen years of loyal services, the Neo Geo fades away in 2004. The console have even survived the firm that created it... but that is another story! 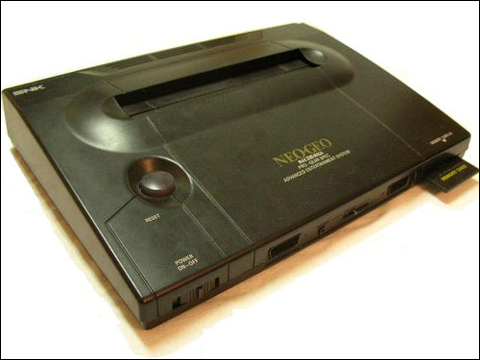 On the technical specs, the Neo Geo is miles ahead of anyone else. 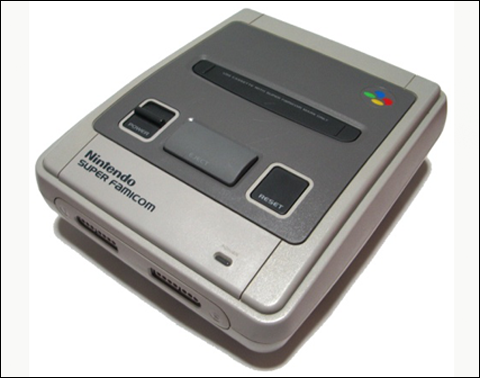 Fall 1990, Nintendo enters the competition with its Super Famicom in Japan. 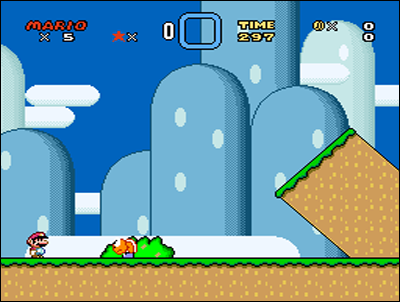 The console arrives in Europe and the United States the following year, using the name Super Nintendo/Super NES. 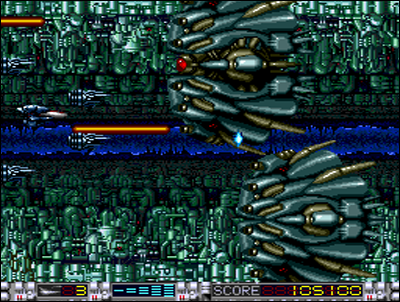 This newcomer stands in direct competitor of Sega Megadrive, and even offers slightly higher capacities. 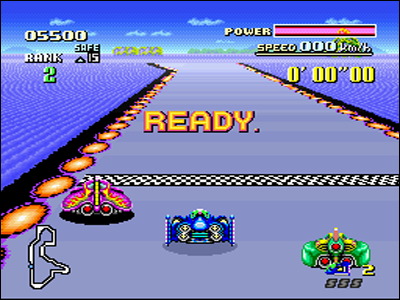 More colors, abilities including revolutionary effects, like zooms and the famous Mode 7, capable of displaying a mapped 3d that will be seen in Mario Kart, F-Zero, Pilotwings, Starfox, and many other titles. Nintendo strikes hard with an attractive 200$ starting price. 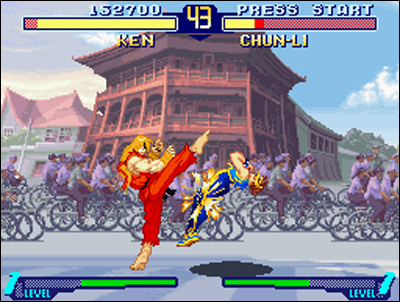 SNES quickly became very popular, and in 1992 the system receives a very successful adaptation of the arcade hit Street Fighter II. The arrival of this title as well as the presence of Super Mario World on the console boosts sales, which quickly exceed those of Sega. At the end of its career, the Super Nintendo have a total of 49 million units sold, which is an absolute record. 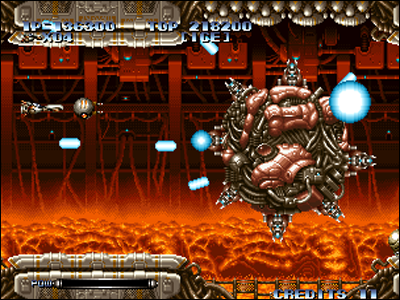 Technically, it still stands as the most powerful 16-bit home system after the Neo Geo, although this could be discussed with the SuperGrafx. 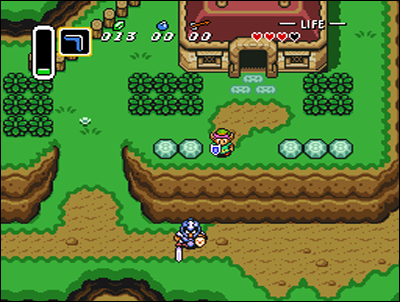 Zelda, Mario, Donkey Kong, and the multitude of great arcade softs adapted on the SNES, have conquer the heart of a majority of players. Production stopped in 2000 for this machine of all records, after a bunch of final titles pushing the it to its limits, as Yoshi's Island, Star Ocean and Kirby's Dream Land 3. The SNES game catalog was a real blast!